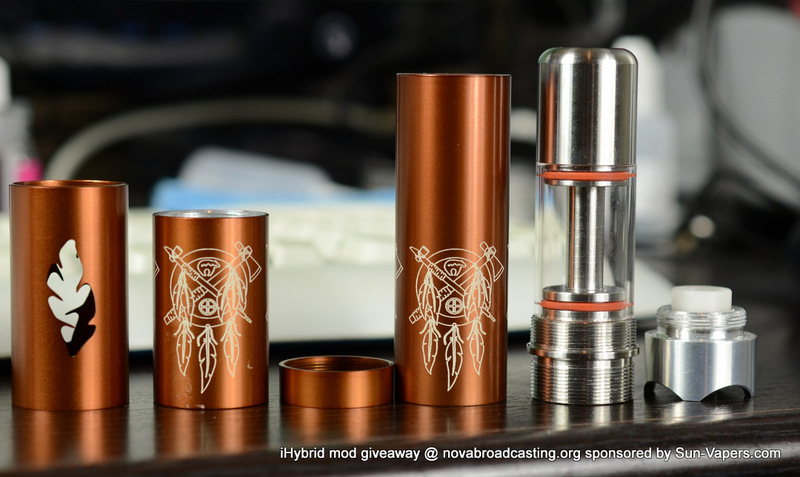 Tonight courtesy of Sun-Vapers – The Mod Envy show will be giving away an iHybrid “Sweet Medicine”. This mod is one of only 25 that will ever be made. Everyone logged in to Justin.tv will have a chance to win. The Red Oak Diner located 2973 Route 35N, Hazlet, NJ 07730. They have a large private room with Wifi, Vaping is ok.
Vapers are welcome to join us at 8pm – we will be broadcasting live at 10pm. If your in the area please come and hangout out. Thank you to Sunvapers.com for donating such a fantastic giveaway!